The following is a story board to explain the process of how waste is handled at Westridge. Every mixed waste skip goes through the process explained below. 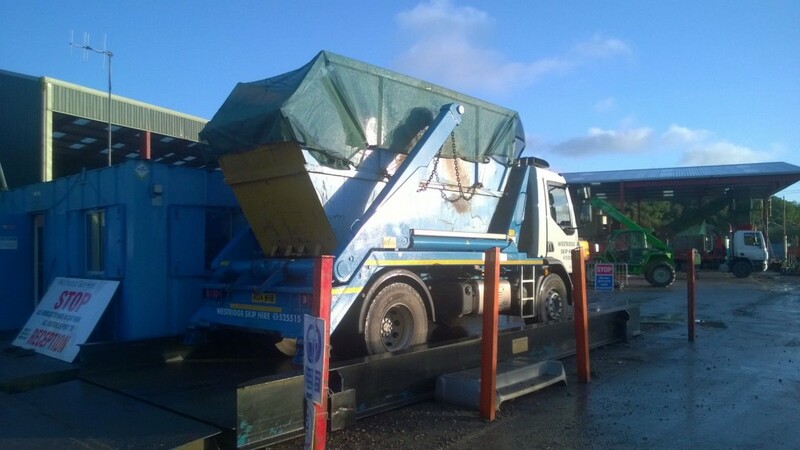 All waste received at Lynn Pitt Transfer Station is at first taken over the weighbridge and weighed before being tipped in to our general waste reception bay. 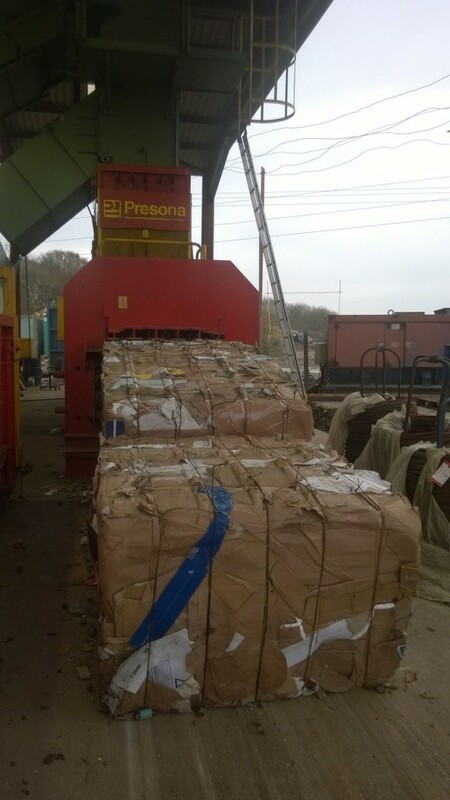 Large bulky waste (easy to handle cardboard and wood for example) being extracted. The remaining mixed general waste is either stored in the pre production area or sized through our industrial shredder. The hopper feeds a belt below which sends the waste through the ‘hedgehog”, a large rotating spikey cylinder that evens the flow of the general waste at the start of the segregation process. From here, the waste is fed to our Twinbed Shaker, a machine that literally shakes the waste, dropping the small material contained in the waste through a screen then on to a belt below. The general waste, now free of small materials is fed in to the picking station. Inside, staff are situated either side of the belt and manually pick assigned materials (eg: carboard/plastics/wood/scrap/bricks and blocks) from the waste stream and deposit them in to shutes that lead to separated bays on the ground. The residual waste left on the belt after the manual picking process travels back outside the station where it hits a ’blower’, which blows the light waste in to a bay, where as any heavy material missed by the picking process falls to a ‘heavy residual’ bay. This waste needs to be re-subjected to the entire process again. The small material that was dropped through the twinbed shaker screen travels up a belt toward a magnet which strips this waste stream of it’s small metals. The small material is then processed through a trommel, which rotates the waste and separates the very fine inert materials. This inert material is useful for such projects as land restoration. After the trommel process, the small freshly segregated material which is now mainly general waste is put through our Tri Star Fines Cleaner. The Tri Star consists of three conveyer belts and three blower fans. This process blows light waste residual material away from the remaining aggregates leaving a clean recycled aggregate and a light waste material suitable for waste to energy plant. 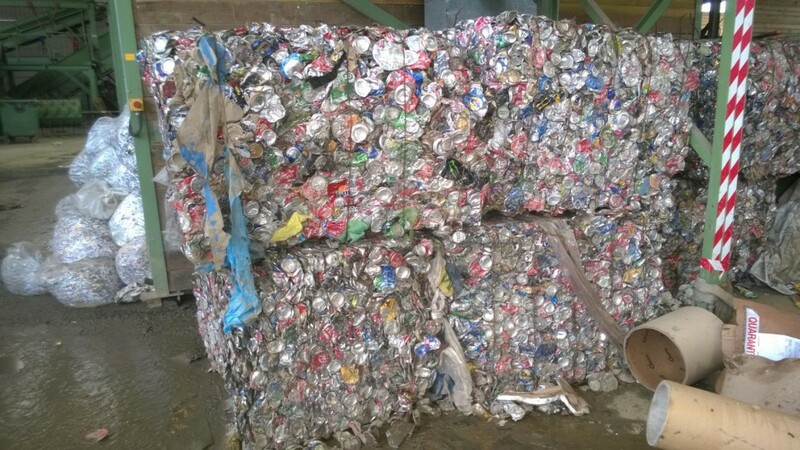 Cardboard is received both over our weighbridge and pulled from the mixed waste streams from the picking process. This is then batch fed to the reception hopper of the automatic baler. The automatic baler, as the name suggests, automatically bales cardboard at half ton mill size bales. 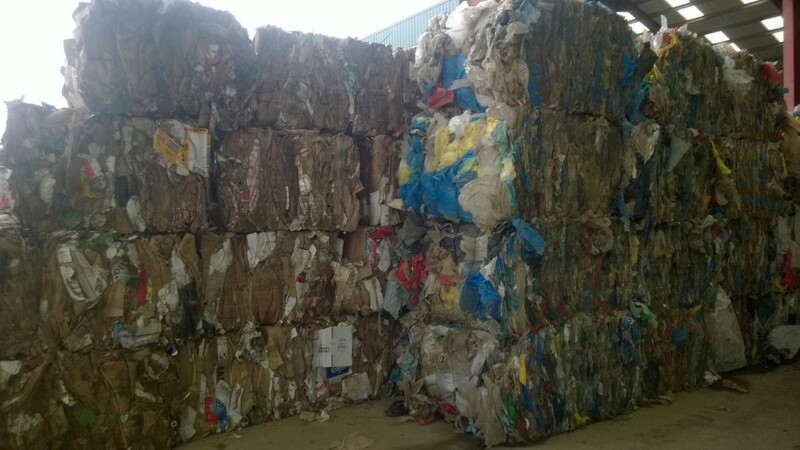 These cardboard bales are stacked under cover and then shipped over to recycling mills on the mainland. This entire process also applies to paper, soft plastics, mixed jazz, aluminium cans and PET bottles amongst other things. It minimises our carbon footprint and allows materials to go directly in to main re-processors such as paper and cardboard mills. If you have any questions about this story board or anything else then please contact us.